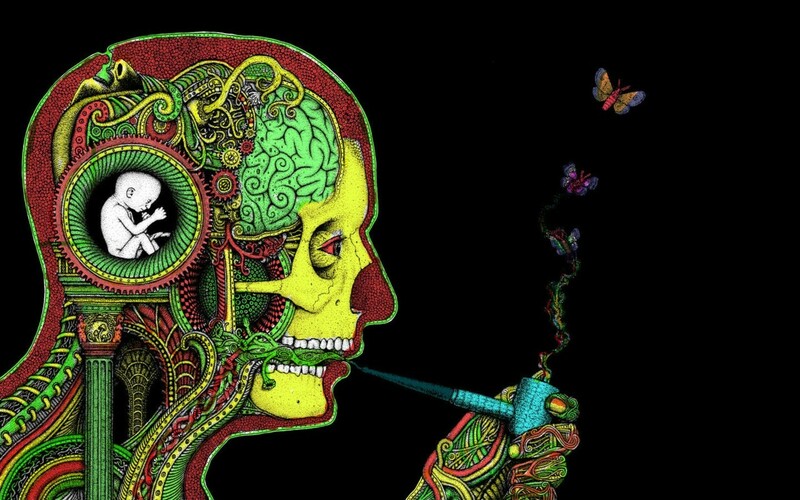 Cannabis is by far the most widely used hallucinogenic on the planet, the effects of this plant on awareness of higher planes, I believe, is open for debate. All plants on the planet have unique genetic codes and these codes all intertwine with ours when ingested and, arguably, ignited and inhaled, to help us remember our timeless origins as one whole connected entity. Majority of mankind is in a torrid state of amnesia at the moment and the main reason behind this, I believe, is the disconnection from nature and, primarily, the food and the plants growing on Earth. Cannabis is a fantastic teacher on the physical plane of existence and can help persons grow in terms of their perspective of life, perception, healing from past dramatic traumas, calming the mind, enhancing meditation, enhancing mood, increasing creativity and concentration levels, curing insomnia and probably many more — just ask any cannabis smoker. The plant helps those struggling with obstacles through this existence, hence millions use it. Too much of anything, even a good thing, is bound to be bad. Any extreme of a behavior is unhealthy and psychologically points to an addiction which in turn points to deep pain in the psyche of the human being. Cannabis can become destructive when abused, just like a cheeseburger can. Funny how we humans don’t make an uproar about so many other destructive behaviors going on around on this planet. Memory in the Astral Realm, a plane of higher vibration than the physical, becomes highly diminished when a person regularly uses cannabis. The reasoning behind this is a mystery but most likely is due to the plant inducing much more deep sleep rather than REM (rapid eye movement) sleep, the state in which dreams occur. Another likely reason is the relaxation it causes and, in turn, a lack of awareness, especially in the higher planes. From personal experience under induction, I always know that I have experienced something important and meaningful in the astral plane the next morning, but cannot remember mainly due to lack of awareness while dreaming. It’s because the teacher plant can only teach you so much. The onus to acknowledge that you have graduated is on you. The next vital important step we must all take in our evolution is to conquer our emotional bodies. There is much confusion concerning the emotional and astral planes which, in fact, are the same. The more control you have over your emotions, the more control you shall display over what you create in the astral. A person that mostly experiences negative emotion also experiences negative dreams. Negative dreams, in turn, have an even more detrimental effect in the physical, as the higher plane determines the experience of the lower. As above, so below. The Astral Plane is fueled by feelings. There are countless spiritual practices to help you attain peace of mind and, more importantly, more control over the emotional body. What you need to realize is that the more people conquer the astral plane and create positive experiences for themselves there, the faster we, as a species, evolve spiritually. Another point I would like to highlight is that you can only bring an astral experience down into the physical by consciously remembering it, or writing it down and pondering on it. By this I do not mean that you will manifest a Ferrari from a higher plane down to the physical — which is by all means possible — but more to the hidden messages behind the symbolism that manifest in the astral realm which causes leaps in growth of consciousness in the physical, which is difficult for the average human mind to fully comprehend. Heaven on Earth is brought down to our waking reality from the world created by the astral body in a plane of higher frequency. You master the physical by practicing full awareness in the astral plane so that you may receive the guidance meant for you from the only plane (i.e. astral) that it is available. I hope that, if you are reading this and resonate with me, you will take more responsibility over your life which, in essence, is pure awareness.